Ideally located in Skokie with lots of hotel accommodation such as the Hampton Inn, and to many nearby restaurants such as the Cheesecake Factory, and to the gym. This center offers many office suites that are decorated to a high standard. Onsite heating parking is also offered making this an ideal business plaza. The locality offers excellent transportation services and this makes the center easily accessible. 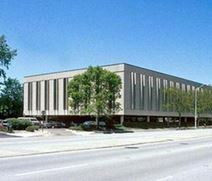 Office space to let located close to Old Orchard Mall and to the Courthouse, offering easy freeway access via the I-94. This centre is only a 2 story building that has been recently refurbished and offers space that can be configured based on the needs of the clients. Ample onsite and secure parking available.